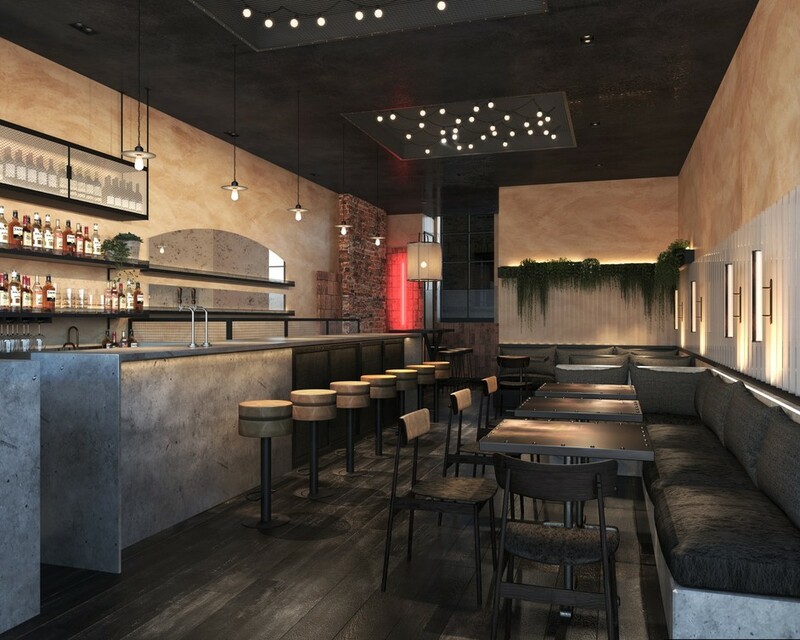 After three and a half years as street food vendors, Burger & Beyond launch their first bricks and mortar site with this restaurant with a huge concrete bar on Shoreditch High Street. In keeping with their residencies at KERB, Street Feast and Camden Assembly, they're s erving their signature buns, habitually listed among London's best burgers, at this venue. Sample dishes include chicken skin and bread with bone marrow butter. Added to these are small plates of shaved rib cap with anchovy butter, deep fried lamb nuggets with a burnt onion dip and mushrooms, cured egg yolk with lardo on toast. The burger joint, set up by Craig Povoas and Tom Stock, has interiors by Run For The Hills with black and raw steel metals, mesh and bolts off set by stone, vintage bricks and lime wash paint to give the place a warmer feel. Head down to the basement for snug cushioned caves lit from within by red neon lighting. Burger & Beyond gyms, sporting activities, health & beauty and fitness. The best pubs near London Burger & Beyond. Burger & Beyond clubs, bars, cabaret nights, casinos and interesting nightlife. Where to have your meeting, conference, exhibition, private dining or training course near Burger & Beyond. From cheap budget places to stay to luxury 5 star hotels see our discounts for Burger & Beyond hotels, including Ace Hotel London Shoreditch from 84% off.